Peter Gelardi Mikkelsen is the founder of the Nordic Blockchain Association and partner in the Blockchain Technologies Corporation, one of the world’s oldest blockchain development firms with its roots in the NYC Bitcoin Center featured in the Netflix documentary “Banking on Bitcoin”. He also contributes to academia by assisting with university course accreditation and guest lecturing. 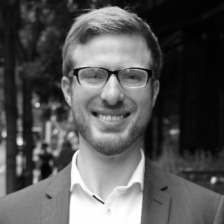 Peter is also the director of business development at Zap.org which solves the Ethereum data problem by enabling oracles to bond to smart contracts.